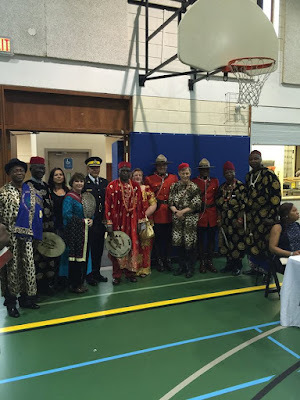 The Igbos living in Manitoba, Canada last Saturday celebrated their culture with a festival, the Igbo Cultural Festival in Canada. 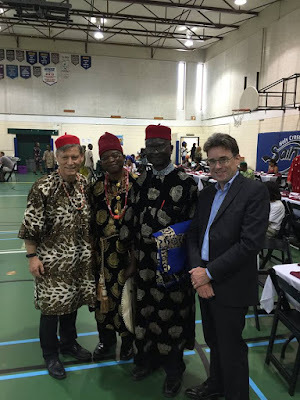 Mr. Terry Duguid, Member of Parliament for Winnipeg South, is pictured below (far left) in his Igbo regalia. 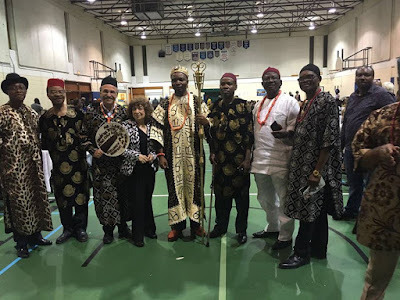 After the cut are more photos of him and HRH. 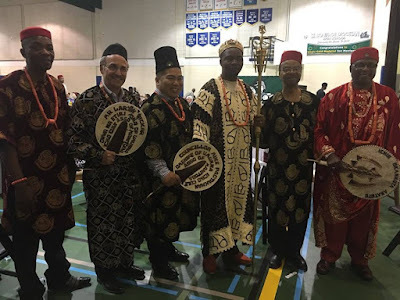 Eze Chukwuebuka Onunkwo amidst other titled men at the Igbo Cultural Festival in Canada.